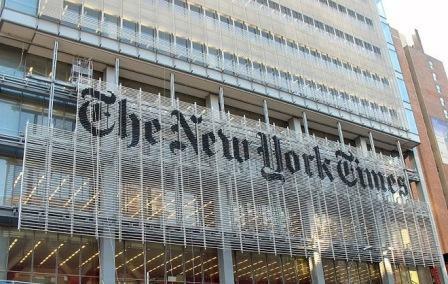 The brouhaha over the recent New York Times column by Tom Friedman highlights the newspaper’s increasing hostility against Israel. Today, it would not be an exaggeration to state that the editorial policy of the NYT towards the Jewish state is virtually indistinguishable from the blatant anti-Israeli hostility promoted by the UK based Guardian or the BBC. Fortunately, the broader American public opinion has never been more supportive of the Jewish State than today. The only exceptions are the liberals, some of whom have become increasingly disenchanted with Israel and now tend to identify with their European counterparts and their excessive bias against Israel. This manifests itself on American campuses and to some extent in far-left sectors of the Democratic Party. It represents the source of the tensions which have evolved between Israel and the United States following the election of the Obama administration. One of the principal long-term contributing factors to the erosion of liberal support can be attributed to increasing vitriolic hostility against Israel displayed in the pages of the New York Times. 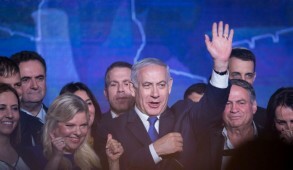 This trend climaxed with the election of Binyamin Netanyahu who has been subjected to a constant and unprecedented barrage of fierce personal and political condemnations from its editorials and leading columnists. Despite Jewish ownership, throughout its history, the New York Times has rarely displayed affection or sensitivity towards Jewish issues. As far back as 1929, during the Arab riots in Palestine, the local Times correspondent, Joseph Levy, boasted that he was a committed anti-Zionist. There is ample evidence that during the Holocaust, news of the slaughter of the Jews was relegated to the back pages allegedly out of cowardly concern that undue clamor about the plight of the Jews might reinforce the anti-Semitic claim that the war against the Nazis was a Jewish war. Since the creation of Israel, the NYT could be said to be “fairly objective”. But from 1967 onwards, this evolved into sharp criticism. 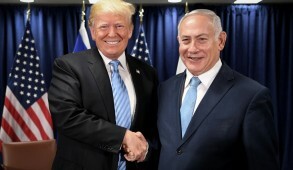 However, it was with the election of Prime Minister Netanyahu, that the editors embarked on a determined all-out campaign to undermine and demonize the Israeli government whilst invariably providing the Palestinians with a free pass. 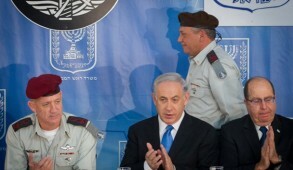 A constant stream of unbalanced editorials blasted Israel for the impasse and mercilessly attacked the government. It continuously “put the greater onus” for the failure of peace negotiations on Netanyahu “who is using any excuse to thwart peace efforts” and” refuses to make any serious compromises for peace”. Its columnists and op-eds have done likewise. For a newspaper purporting to provide diverse opinions, it rarely publishes dissenting viewpoints from its editorials and in house columns which only find fault with the Israeli government. One notable exception was Likud MK Danny Danon, to whom the NYT provided a column in which he expressed a viewpoint far to the right of the government which simply amounted to a cheap effort to discredit the government by conveying a far more hardline position than the reality. Its principal columnists Tom Friedman and Roger Cohen (both Jews) and Nicolas Kristof have been leading the charge in castigating Israel and unabashedly praising the Arab Spring. In a recent column, Kristof described a dinner with a PR savvy group of Moslem Brotherhood activists. Kristof approvingly quoted them claiming that their support was strong “for the same reason the Germans support Christian Democrats or Southerners favor conservative Christians”. He also postulated that “conservative Moslems insisted that the Muslim Brotherhood is non-discriminatory and the perfect home for pious Christians – and a terrific partner for the West”. Kristof concluded that “it’s reasonable to worry. But let’s not overdo it… Our fears often reflect our own mental hobgoblins”. Kristof did not meet the Muslim Brotherhood chief cleric, Sheikh Yusuf al Kardawi, the organization’s most powerful religious leader, an evil anti-Semite who supports the murder of Jews. Roger Cohen is another regular columnist whose undisguised hostility towards Israel led him to condemn the Jewish state’s “obsession with the [Iranian] nuclear bogeyman” and praise Turkey’s anti-Semitic Prime Minister Erdogan whilst condemning Israel for not apologizing to the Turks over the Mavi Marmara flotilla incident. Virtually every op-ed published was hostile to Israel. Last month, the NYT published a piece which went to the lengths of challenging Israel’s position on gay rights. In May PA President Mahmoud Abbas published an op-ed falsely accusing Israel of initiating the war in 1948 by expelling Palestinians Arabs and obligating Arab armies to intervene. 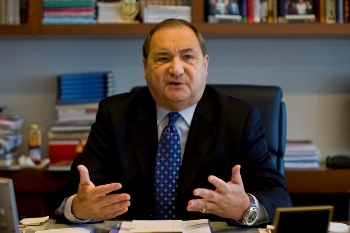 Initially, the NYT refused to publish Goldstone’s withdrawal of apartheid and war crimes charges against Israel, only doing so some months later after it had appeared in the Washington Post. But it is Tom Friedman’s most recent column, which is the most outrageous. 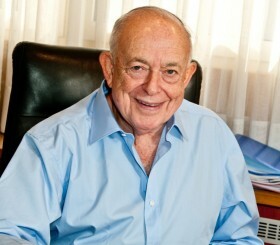 In his uniquely arrogant manner, over the past few years Friedman has been consistently mirroring NYT editorials castigating Netanyahu who he loathes and alleging that Israel had become “the most diplomatically inept and outrageously incompetent government in Israel’s history“. He accused Netanyahu of choosing to protect the Pharaoh rather than support Obama who aided the “democratization” of Egypt. He went so far as to say that Netanyahu was “on the way to becoming the Hosni Mubarak of the peace process“. Last February, after being in Tahrir Square, Friedman exulted that the “people” had achieved “freedom” and were heading towards democracy. He dismissed concerns that the Moslem Brotherhood would become a dominant party. In his latest column he broadly condemned all aspects of Israeli society even quoting Gideon Levy, the Haaretz correspondent, who most Israelis regard as being more aligned with the Palestinian campaign against Israel than his own country. He described Levy as “a powerful liberal voice” and quoted him alleging that Israel is becoming a failed democratic state. What provoked the greatest indignation was his remark “I sure hope that Israel’s Prime Minister understands that the standing ovation he got in Congress this year was not for his politics. That ovation was bought and paid for by the Israeli lobby”. For a Jew, purporting to be a friend of Israel, to effectively endorse the distorted thesis relating to the Israeli lobby promoted by Stephen Walt and John Mearsheimer is unconscionable. Friedman is effectively parroting a hoary anti-Semitic libel asserting that Congress has been “bought” by American Jews who represent 2% of the population and that the vast majority of the American public supporting Israel and Congress are simply stooges, manipulated or bribed by the Israeli lobby. It places him on a par with the anti-Semitic attitudes promoted by Pat Buchanan and one may rest assured that Israel’s enemies will fully exploit his remarks as a means of discrediting American support for the Jewish State. Friedman continued, suggesting that Netanyahu should test genuine American public opinion by speaking at a liberal campus like the University of Wisconsin, absurdly implying that far left liberal campuses are more representative of American attitudes than the democratically elected Congress. New York Times editorials and columns like that of Tom Friedman should not be treated lightly. 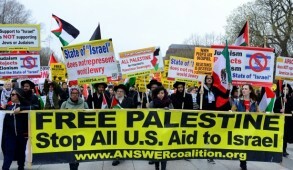 They must be viewed in the context of the recent condemnations of Israel emanating from higher echelons of the Obama administration. Unless vigorously repudiated, these critiques will have a drip effect with the potential of undermining the hitherto prevailing bipartisan consensus over Israel.